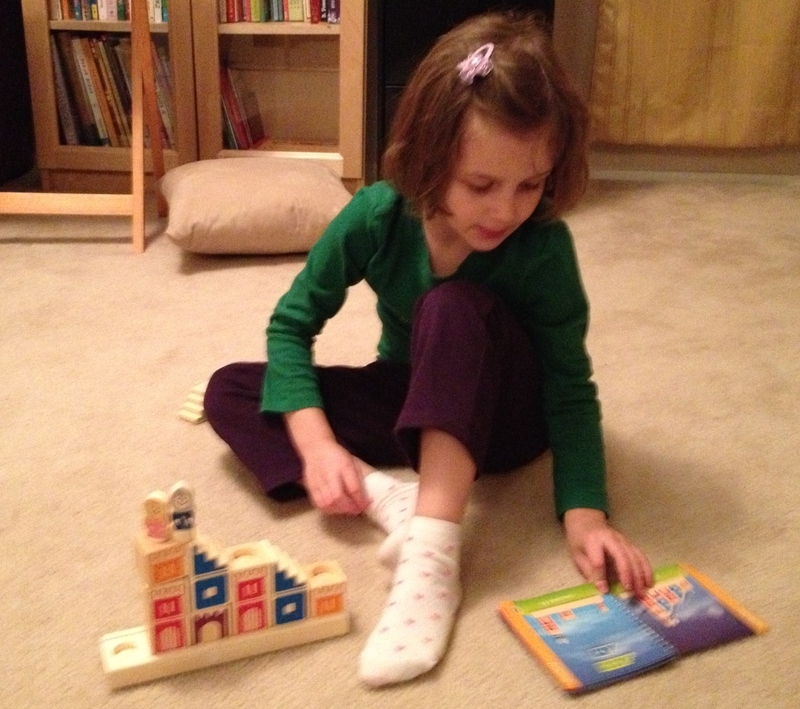 As I have mentioned in the past, Katie is a Girl – she likes playing with dolls, getting dressed up, listening to stories about fairies and princesses… At the same time she also likes math and puzzles. 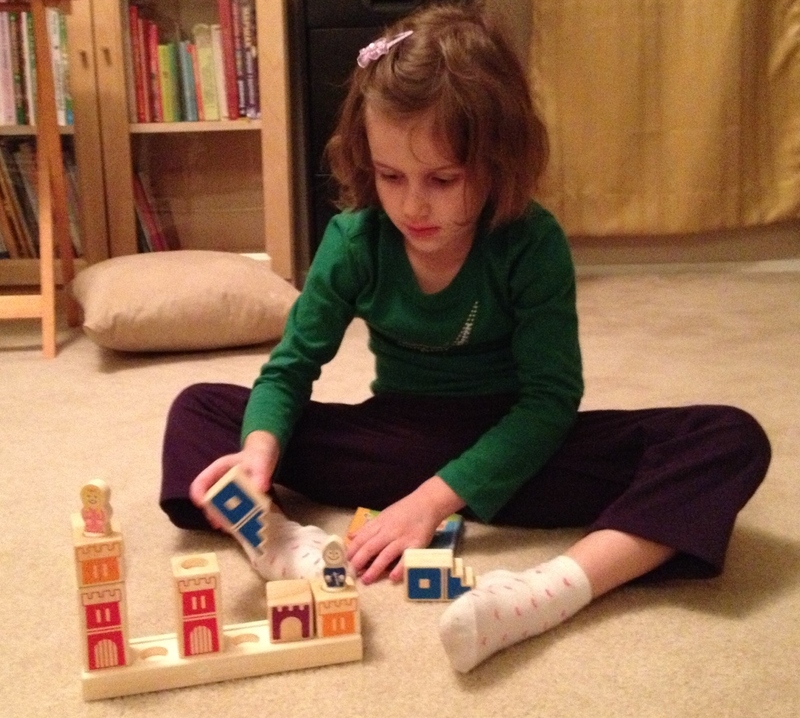 So when for New Years she got a fun puzzle game where the characters were a prince and princess, I was not surprised that it was a big hit with her. 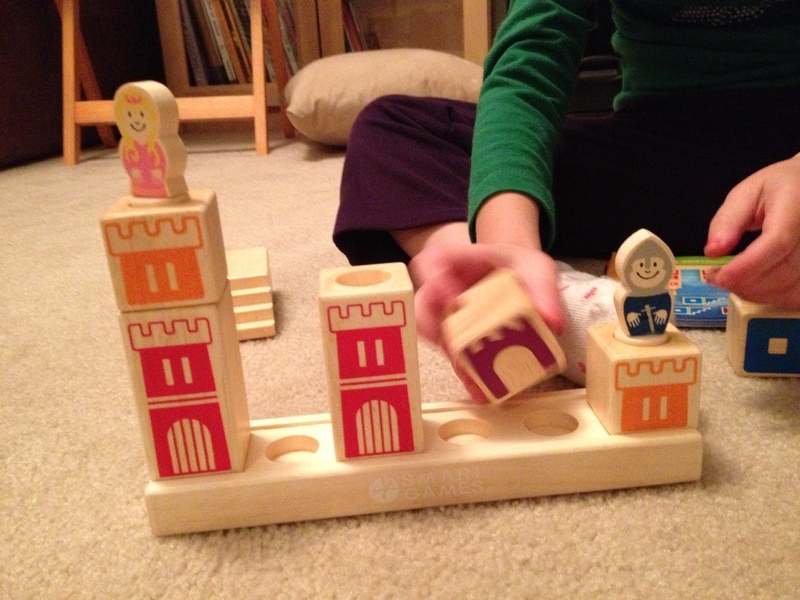 The single player game is called Camelot and the goal of each puzzle is to build a path from the prince to the princess using colorful wooden pieces. 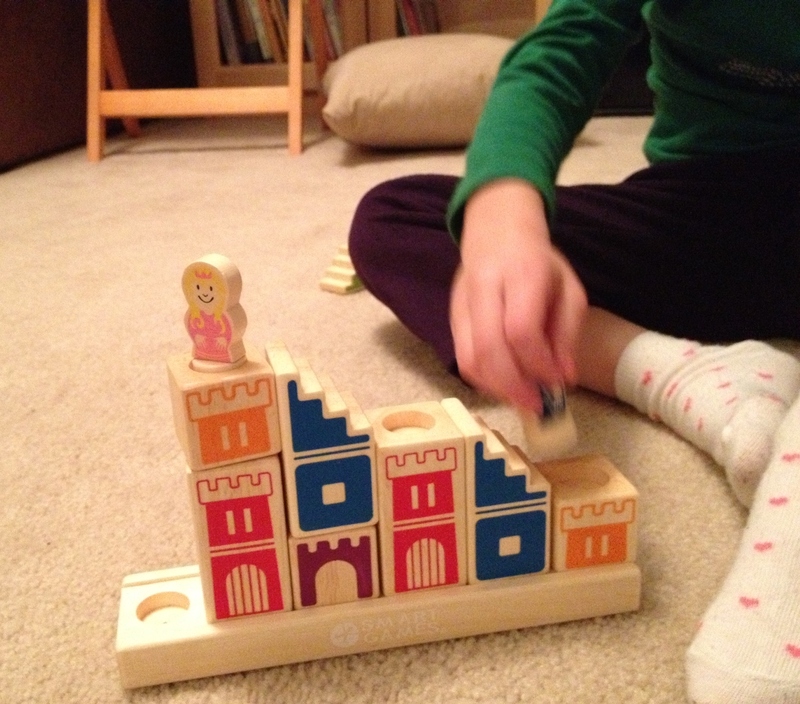 Or perhaps the goal is to rescue the princess from a lonely tower? Or maybe it’s the prince that needs rescuing? The story is just as important as the puzzle! The puzzles range in difficulty from fairly easy to quite difficult. The harder ones sometimes take me some time to figure out :-). 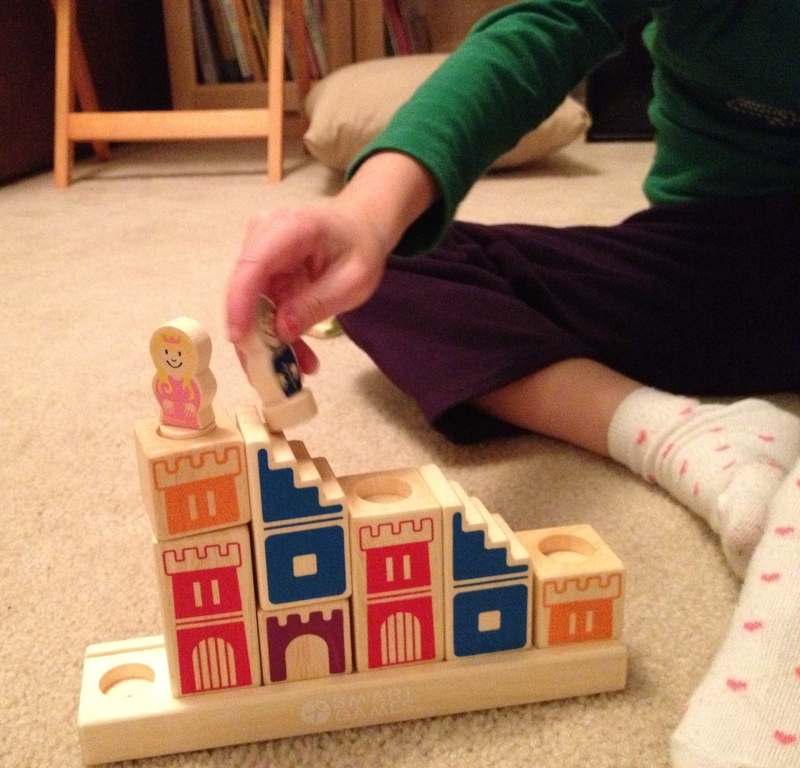 Whenever Katie completes a puzzle, she walks the prince up (or down) to the princess and does a pretend hug or kiss, and sometimes even a dance. Katie always checks the solution. This entry was posted in Uncategorized and tagged 5 years old, cool games for kids, dolls, games, learning games for kids, logic, puzzles. Bookmark the permalink.